The cake has one of the most important rudiments of celebrations like Birthday, Anniversary, Corporate Event, Office Party, Success Party, Valentine’s Day, Father’s Day, Mother’s Day, Friendship Day, Wedding, Engagement, New Year, and Christmas. The merriment becomes doubled because cake complements the celebration. A celebration is incomplete without cake cutting. You will never like to make a celebration without a cake. Be it a birthday of your kids or an anniversary of your parents, you will always like to make the even special one with a mouthwatering cake and few candles. You can add a bit of sweet elements in all the celebratory moments for your loved ones by placing order to send cake online to Pune or other cities of India. We at Elite Handicrafts are providing you one stop destination for placing order for cake and delivery option in Pune and other Indian cities. Whether you like to get delivered your cake in Aundh, Hinjewadi, Hadapsar, Baner, Pimpri, Chinchwad, Kothrud, Magarpatta, Koregaon Park or Vimannagar; we can make online cake delivery in Pune and its specific locations. 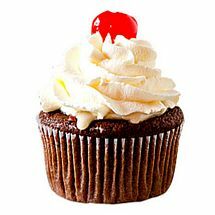 In our online cake catalogue we provide a wide range of cupcakes and cakes to choose from. You can choose from cakes available in different designs and flavours. We provide you different flavour options like butter scotch, pineapple, mango, orange, strawberry, vanilla, strawberry, blueberry, lemon, and more. In our catalogue we also have a variety of eggless cakes in several flavors to cater the needs of people who don’t like eggs. Kids like special designs of cakes. To cater the needs of your kids in Pune we have kid’s special cakes with designs of their favorite cartoon characters and toys like Doraemon, Chota Bheem, Spiderman, Mickey Mouse, Harry Potter, Barbie Doll, Cricket Bat, Football, Angry Birds, Car, etc. Not only this, we also have cakes with special features like 2-3 tier cakes, personalized photo cakes, heart-shape cakes, rose flower shaped cakes, red velvet cakes, and many more. If you want quick and just cakes in Pune then you can go with our special services. We provide specific services like express delivery, same day delivery, and next day delivery of cakes in Pune. So, if you are looking for a cake then definitely your search ends here. You don’t need to go a bakery shop, pastry store or baker’s basket in Pune. Now you can place order for online just cakes delivery in Pune with just a few clicks of your mouse. Choose from our different types of cakes like regular, red velvet, designer, romantic, premium, heart shape, butterscotch, pineapple and black forest cakes. We ensure for on time delivery of cake in Pune say it any locality of the city. Place your order online today for on time cake delivery in Pune!